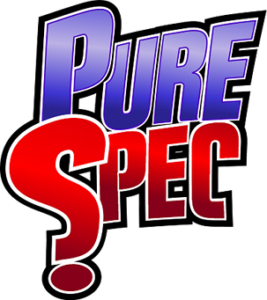 A while ago Pure Spec helped host and organize a BBQ in Hawrelak Park for various nerd groups around Edmonton. It was a potluck, casual affair, where the many flavours of Edmonton geekdom could get together, maybe toss around a Frisbee, play some games, eat BBQ, and hang out in the fresh air for a while. A few years back, however, we stopped organizing it because we just didn’t have the organizer bandwidth to carry it out any more. So I am delighted to report that the Internerd BBQ will return at the 2018 Pure Speculation Festival! Saturday night, starting at 6pm, we’ll move the festivities to the Alberta Avenue Hall’s back garden. Everyone at the festival is invited: attendees, volunteers, panelists, vendors, everyone. This is your chance to relax with your fellow nerds after an already great weekend of nerdery. And if you couldn’t make it to anything else, arguably this is an event not to miss. We’ll supply the hot dogs (and veggie dogs) for free, condiments, paper plates, and napkins, and our concession and bar will be open for business. The rest of the food will be potluck, in the spirit of our past Internerds, so if you want to contribute feel free to bring a dish to share for about 8-10 people. We encourage you to sign-up with what you’re bringing, so we can avoid having twenty bags of the same chips, or one bag of chips and nineteen different dips. We’ll also have some entertainment for you, and the Second Annual Pure Speculation Ultimate SF&F Quiz (this year with a trophy for the winner and prizes for the top three finishers). If you took part in last year’s SF&F Quiz you know it’s going to be a tough one, so start brushing up on your lore now. Seating is extremely limited in the garden, as no indoor chairs can be used on the lawn. We’ll have a space indoors to sit and eat, but if you’d rather sit outside in the fresh air please bring a lawnchair or blanket for sitting. As always, if you have any questions about our events, shoot us a message. We’d love to hear from you! Previous Previous post: Spring has Sprung and So Have We! Next Next post: O, for a Voice Like Thunder!